MOSCOW, October 13. /TASS/. A next meeting of the emergency commission investigating the crash of Soyuz-FG launch vehicle will be held on Monday, a source with the space industry told TASS on Saturday. "The state commission decided to establish an emergency commission chaired by Oleg Petrovich Skorobogatov," he said. "The next meeting of the emergency commissions tasked to look into the causes of the Soyuz-FG crash will be held on Monday.". The commission investigating the crash of the Soyuz-FG launch vehicle is expected to fly to Samara in coming days to inspect the Progress Rocket Space Center, a source said. "The emergency commission is due to fly to Samara soon in the course of its probe into the causes of the Soyuz rocket crash," he said. "On Monday, they will review results of the weekend’s work and the commission members will decide when they should leave for Samara and who should go," he added. The Russian state commission will make changes in the schedule of missions to the International Space Station (ISS) following the results of the investigation and the amendments will be negotiated with NASA, a source told TASS. "According to the outcome of the emergency commission’s work, the state commission will alter the schedule of cosmonauts’ missions to the ISS and will agree them with Americans. Everything will depend on how the plan stipulating compliance with remedial action will be implemented following the results of the probe into the causes of the Soyuz-FG malfunction," he said. The next manned spacecraft is scheduled to launch in December, according to the calendar. "Some name dates, but those are just allegations of people pretending to be well-informed," he added. 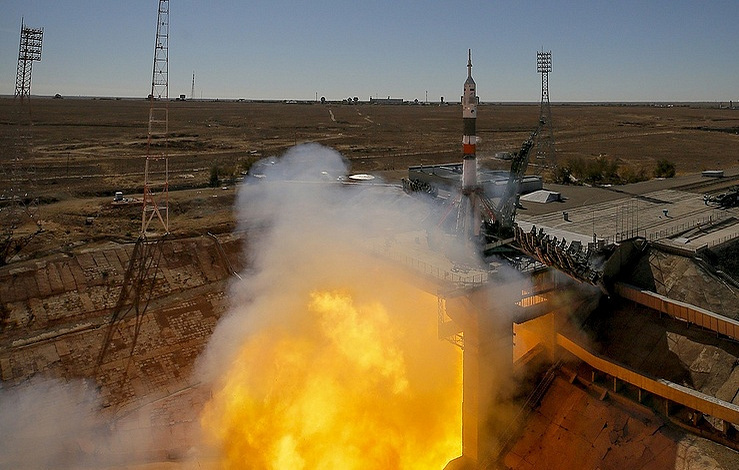 The emergency commission looks into the Baikonur spaceport staff who worked on the Soyuz-FG carrier rocket preparing it for the launch with the manned capsule Soyuz MS-10 atop, but the liftoff ended up in a failure, a source said. "Some members of the emergency commission are staying at the Baikonur Cosmodrome to investigate the circumstances of the failure of the Soyuz-FG rocket. They will have to check all the employees who were working on the rocket," he said.